Music, whether songs or instruments, is big business on the internet today. 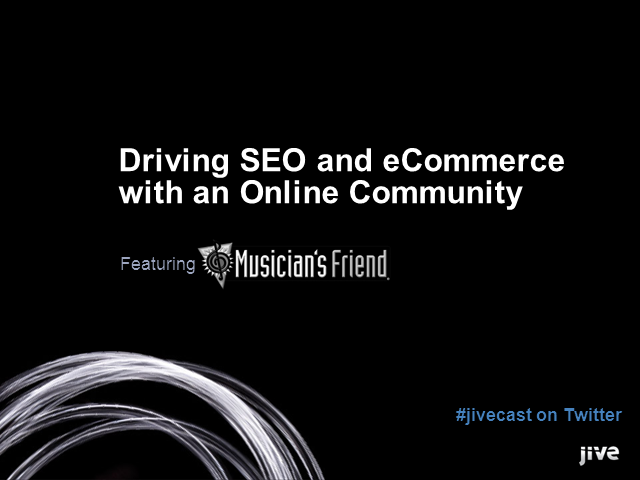 This means, optimizing the website for a company like Musician's Friend is critical to the continued financial stability and growth of the company. In this webcast, you will learn more on their community strategy that is key and now being leveraged across what was formerly an e-commerce-only experience for their customers and how they're taking advantage of user generated content (UGC) to more authentically engage customers and further increase revenue.